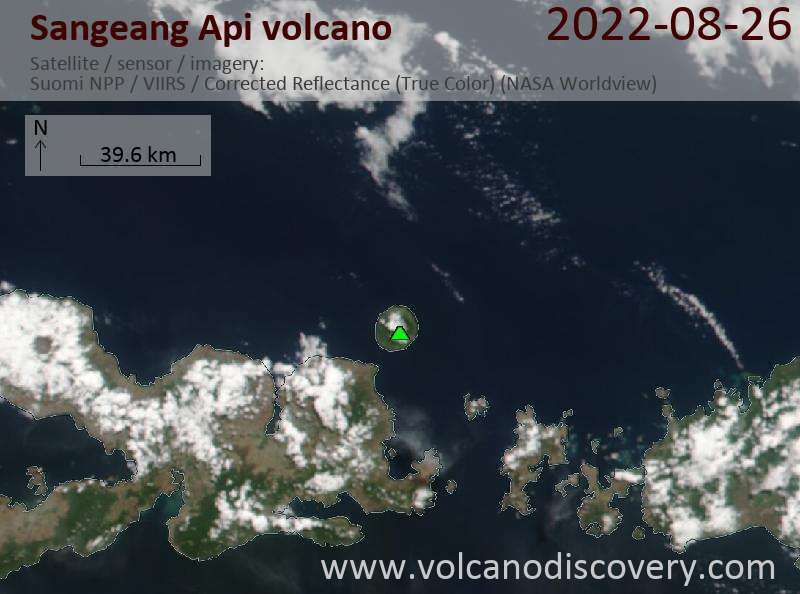 Sangeang Api volcano Volcanic Ash Advisory: VA OBS TO FL070 MOV TO WSW AT 14/2330Z. Sangeang Api Вулкан-извержения: 30 May 2014 (subplinian), 1997-99, 1985-88, 1966, 1964-65, 1958, 1957, 1956, 1955, 1954, 1954, 1953, 1927, 1912, 1911, 1860, 1821, 1715, 1512. 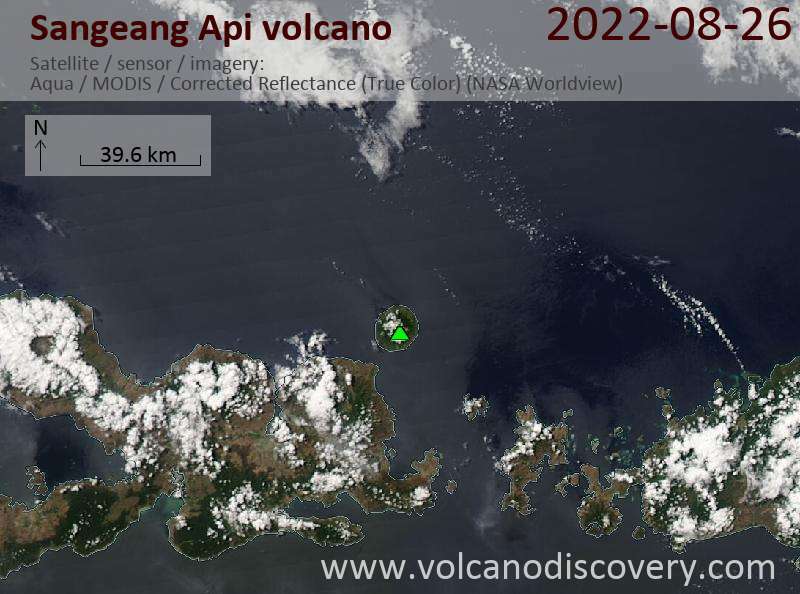 The two large trachybasaltic-to-tranchyandesitic volcanic cones of Doro Api and Doro Mantoi were constructed in the center and on the eastern rim of an older, now almost buried caldera. Flank eruptions have built flank cones on the south side of Doro Mantoi and near the northern coast.